HARRISBURG, Pa. (Reuters) - A Pittsburgh jury on Friday unanimously found that a white police officer did not commit murder when he fatally shot black teenager Antwon Rose, an incident that sparked protests and fueled a debate about racial bias in the U.S. criminal justice system. 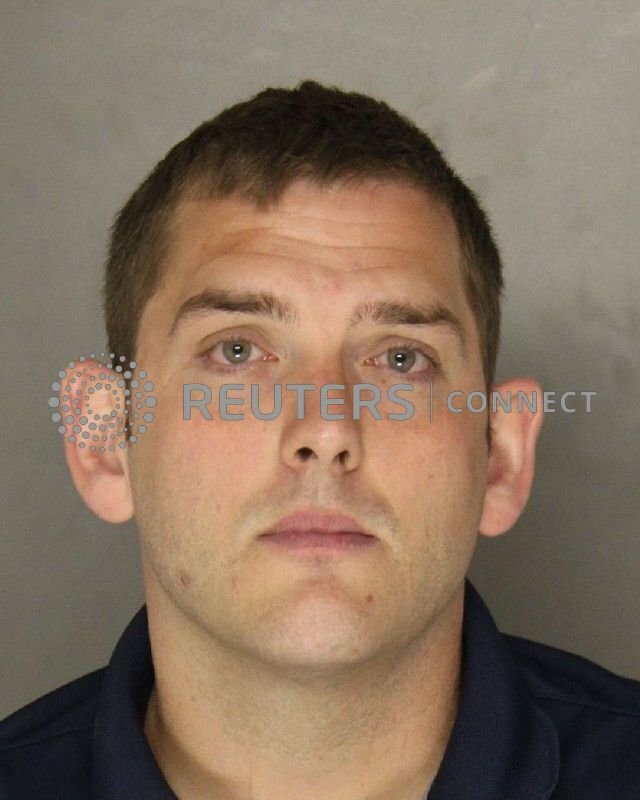 East Pittsburgh Police Officer Michael Rosfeld, 30, shot Rose, 17, as he fled from a car along with an 18-year-old associate who has since pleaded guilty to carrying out a drive-by shooting from the vehicle. "This case had nothing to do with race," Patrick Thomassey, Rosfeld's lawyer, told reporters outside the courtroom. The shooting was one of a series of high-profile U.S. police killings of unarmed black teens and men. A group of about 100 Rose family supporters chanted for "justice" outside the courtroom following the verdict, their fists raised in the air. "Antwon Rose was shot in the back, he was unarmed. He did not pose a threat to the officers or the community, the verdict today says that that is OK," said Lee Merritt, the family's attorney. Lawyers for Rosfeld, of Verona, Pennsylvania, argued that he acted in self-defense because he believed Rose was carrying a weapon. Thomassey portrayed Rosfeld as a police officer acting as a shield between good citizens and rampant crime in an area of Allegheny County. The jury of nine white people and three black people deliberated for less than four hours to reach their decision. "I was not surprised at the verdict because this happens time and time again," said Summer Lee, Pennsylvania state representative for Allegheny County. "We've seen it in Ferguson, we've seen it in Baltimore, we've seen it with black men and women killed by police officers." Pittsburgh police were braced for street protests over the verdict, although Rose's family publicly pleaded for a peaceful response. Allegheny County District Attorney Stephen Zappala, who filed homicide charges against Rosfeld, said he disagreed with the verdict. "In the interest of justice, we must continue to do our job of bringing charges in situations where charges are appropriate, regardless of the role an individual holds in the community," Zappala said in a statement. The shooting occurred on the night of June 19 in suburban East Pittsburgh, about 11 miles (18 km) from the downtown court where the trial took place. Why does he remind me of Mr Rumbold in Are You Being Served - aka jug ears? He was just a "good boy" who happened to have been involved in robbery, a drive by shooting, and had gun shot residue on his hands. Oh, yeah, and the victim of the drive by claims he was the actual shooter and not only that but the actual "beef" that precipitated the hit was between the victim and Rose, not anybody else in the car. So as long as you are running away, you are innocent ??? why is perfectly acceptable for black community to have black civilians murder black civilians? A troll post has been removed. I think the verdict says, if you don’t take part in drive by shootings then you won’t end up being shot. when i was a police traffic patrol office in the UK in the 80's they at that time were bringing in armed traffic patrol officers, as an experienced officer, every year at appraisal time they asked me why i did not apply, i replied if i have an accident driving my police vehicle, the higher ups go out there way to try and prosecute for dangerous driving etc, why if i had to use my gun would i want to face manslaughter/ murder charges, with all the stress and anguish that would bring. Quelle surprise! I read today that US cops are also shooting the pets of families they visit.